Different goals – different programs? The training program in the gym for men differs from the female version with a high load and power gradient. Programs for girls most often pursue the goal of losing weight, and the training program for men puts the task – to increase strength and gain muscle mass. Our capabilities, physique, features of physiology. 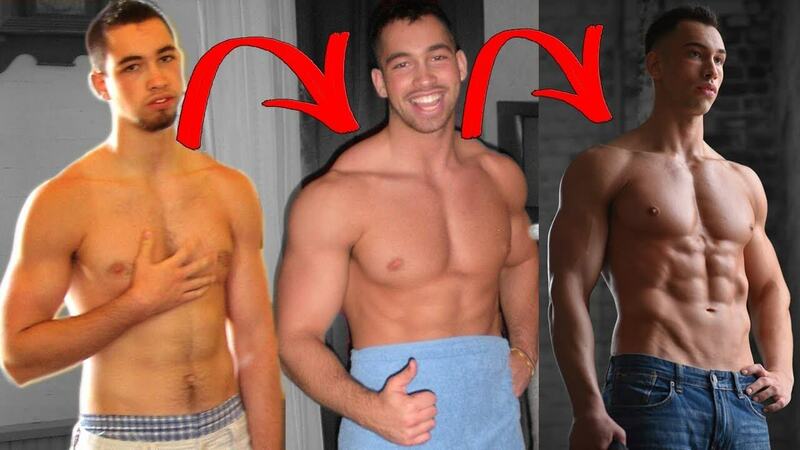 We can generalize only point 2 – since the questions and goals of many are similar (for example, how to pump up a beautiful body for a man, increase body weight, gain pumped muscles). But the health and physiological capabilities at a particular time all have different. Therefore, I note that the following programs are a generalization. They will certainly be useful, but their effectiveness will not be as high as with an individual approach. However, it is quite possible to begin with a generalized program, subsequently adjusting it to suit your own needs. After all, the novice often does not know what his body is capable of. Before you go in the direction of achieving the desired goal, you need to test your capabilities, understand the level of preparation. This is not about basic exercises, although the base will need to do bench press. This is done through a test program designed for a month. Working weights must constantly be adjusted, the coach should not leave the novice without attention. On the first day, you can enter a bench press, figuring out how much the guy can squeeze 8-10 times into his first lesson. Another nuance of the test program – the first three workouts in each exercise should be no more than two approaches. Cardio 10 minutes on a stationary bike or a treadmill. Press the bar lying in 2 sets of 8-10 times. Pullover lying on a bench with dumbbells. Dumbbell cultivation on a bench parallels to the floor, as many repetitions. Raising the legs in the vise on the press. 10 minutes on a treadmill or exercise bike. We press our legs twice 10 times. We bend the legs in the simulator. Extensible legs, sitting in the simulator. Do the climbs on the calf in the simulator or in Smith, Gakk-machine. We do twisting, lying on the floor, legs are thrown on the bench, knees are looking at the ceiling. Thrust for the head in a block simulator. Thrust to the waist in the block simulator. Extension of arms in a block frame. Raising the bar on the bicep. Cardio 10 minutes and stretching. The first week is done exactly the same way, then a third approach is added and the working weight gradually increases over the course of a month. In the third week on the first day of the 1st, attacks with dumbbells are added. In the third – the dilution of hands with dumbbells through the sides, and in the second-rod to the chin. At first, all these exercises are done in the same way in 2 approaches. On the fourth week, on the first day, squats with an empty neck are added in two approaches 10 times under the close supervision of the coach. For this week you must learn to squat right. During the first month, you should master the basics of bench press techniques, sit-ups, strengthen muscles for other exercises and work with heavier weights. There is also a program of strength training for men. For the second month, you can begin to try out a deadlift with an empty neck for honing the technique. I hope you already know the technique of performing many exercises, have achieved some results, both in the force and the external plan. 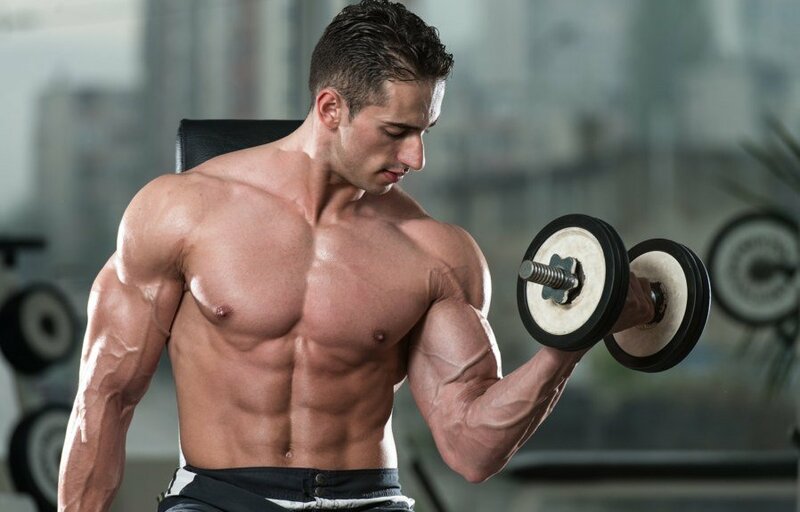 Let your biceps increase by 1 cm compared to what it was – this is already the result. Now it is already possible to set specific goals and conduct the workout in the gym for a set of muscle mass and to increase strength. Cardio 5-10 minutes (optional exercise bike or treadmill). We press the bar lying down. We make 4 approaches in 6-8 repetitions. We press the dumbbells, lying at an angle of 30 degrees 3 approaches in 8 repetitions. We press the bar upside down in a slope of 30 degrees, as many repetitions. Reduction of hands in the crossover (3×8). Extension of hands on the block (3х10). Any 2 exercises on the press for 2 sets of 15 repetitions each. Squat with a barbell of 4 approaches in 6-8 repetitions (not counting warm-up approaches). Extension of the leg in the simulator. Pull the lower block to the chin (or the bar instead of the block). Dumbbell cultivation through the sides. Hyperextension, we do 2 approaches, in each of 15 replicates. Deadlift 4 sets for 6 reps.
Hyperextension 15 times slowly with a delay at the top. We pull the bar in a slope (3×8). Pull the top block (3×8). Pull the bottom block (3х10). Raising the bar on the biceps (3×8). Hammer or bending of hands with dumbbells (3х10). This workout plan is aimed at simultaneously gaining weight and increasing strength. Male training for weight gain can be exactly the same as for increasing strength since one develops in parallel with the second. Your mass will grow after the force, and the force behind the mass. Another issue of fat burning – here already the strength workout and exercises for recruiting mass do not quite fit. How to gain weight without excess calories? In most cases, the answer is simple. Calculate the number of BJU you consume per day. You will see that there is little protein. And if you sit for a couple of months on protein-rich food and continue to work hard – the people around you will notice the results. There are also complex cases when the physiology of the body is so unique that it reacts poorly to strength training. The level of testosterone practically does not fluctuate from the loads, the mass does not change in any way. It happens. But do not immediately attribute yourself to this category, until you try a couple of months to sit on a competent diet. And it also happens that we do not see external changes because we contemplate ourselves in the mirror every day. Believe me, if you come to close people once a month, for example, they will notice the difference. Any program is not eternal, it is advisable to change it every 2-3 months. You can use the following information to make your training program more diverse. A superset is a few exercises that are performed without interruption. A superset can be performed for the muscles of synergists and antagonists. For example, alternating the bending of the arms with the barbell and extending the arms on the block is a superset for the antagonists. A bench press lying and the development of hands with dumbbells – for synergists. Circuit exercise is a large number of exercises for different muscle groups, which are performed one after another with a very short break. The number of repetitions here is 15 or more, preferably the approach is performed in 20-40 seconds. This option is very grueling and well suited for creating relief, burning fat. Unlike supersets, here it is better to work in the training apparatus. You can include in your program once a week a circular variant.